If you get cold sores, there is a new product that is now available to Canadians. Fortunately I don't get them but my kids' dad gets them almost once a year. Studies show that 80% of us are carrying the Herpes Simplex Virus (HSV-1) that causes unsightly and uncomfortable cold sores that even the best concealers can't conceal. Besides the physical implications of cold sores, they also often come with embarrassment, shame and emotional stress. Which seems silly, doesn't it, considering almost all of us are carrying the virus? There's a new product available to Canadians that can proudly be used and incorporated into beauty routines to prevent outbreaks. 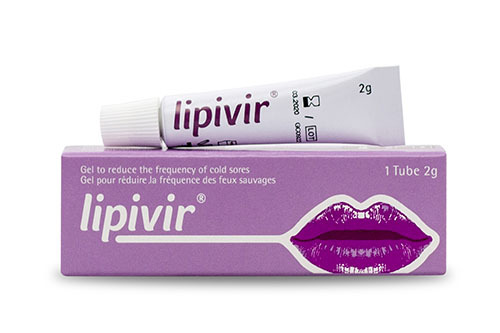 lipivir is the first over-the-counter lip gel that is clinically proven to reduce the frequency of cold sores. Currently the only products available are anti-viral prescriptions from a doctor or treatment products once a cold sore appears. lipivir aims to eliminate outbreaks altogether. Devirex AG is the Swiss inventor and manufacturer that developed the lipivir® gel and conducted the clinical trials in Switzerland that prove its efﬁcacy. In these trials, lipivir® was applied twice daily for six months by people who typically experience recurrent cold sores. Eighty per cent of these cold sore sufferers experienced a reduction in cold sore outbreaks of 75-100 per cent. lipivir® is distributed in Canada by Canbridge Sciences. It is available for $26.99 in a discreet 2 gram tube that lasts up to two months. The product should be applied twice daily on and around the lip area to reduce the frequency of cold sores. To purchase online and for retail availability visit lipivir.ca. lipivir® is a drug-free cold sore innovation new to Canada that is tried, tested, and loved by cold sore sufferers across Europe. I would like to offer one of my readers a tube of lipivir. This giveaway will run from November 7th to December 6th, 2017 (midnight EST). Winner, You have 24 hours to reply. You must be 18+ Open to Canadians only Good Luck! Psst - Can't win if you don't answer the mandatory question. I am not responsible for shipping and handling or damages of the prize. The prize is shipped by the Sponsor and they may substitute the prize depending what is in stock. Your information will be sent to the Sponsor for the purpose of shipping out the prize. I live in Alberta. My answer is 38. I live in Ontario and the answer is 38. I live in NL and the answer is 38. I am from Ontario. The answer is 38. I am from NL. The answer to the question is 38. I'm from Ontario. Answer is 38. I am from NL. The answer is 38. I'm in Ontario, the answer is 38. I am from Alberta. The answer is 38. I live in NB and the answer is 38. Hi, I'm in Manitoba. STQ 38! I am in Nova Scotia and the answer is 38. Manitoba. The answer is 38. My name is Monica and I'm in Alberta. Answer is 38. I live in Ontario and the answer to the math question is 38. I am from Manitoba and the answer is 38. I am from Saskatchewan and the answer is 38. I live in Ontario, and the answer to the skill testing question is 38.